History: In the early 1990’s, many new developments were being built southwest of Bellevue and potential homeowners wanted their children to attend the Bellevue Public Schools and be a part of the Bellevue/Offutt Community. The district sponsored successful legislation, which permitted the district to acquire land and build a new school at Two Springs. Duane Menke, a 1963 graduate of Bellevue High, chose the name Two Springs for his new housing development, as the development has two springs that flow in the summer in the southwest wooded corner. 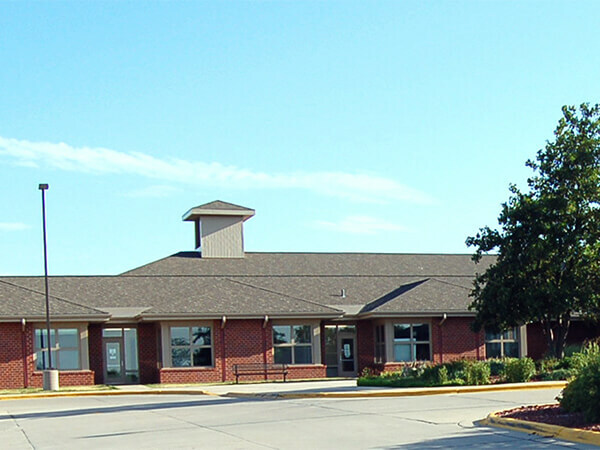 The district opened Two Springs Elementary to serve the new residents. The school includes many interesting advances in school construction and serves as a model for other new elementary schools. School Purpose: To ensure that all children will reach their potential by maintaining high expectations and promoting academic excellence for all students, fostering a positive school climate of a caring community in which all children and adults feel respected, trusted, and an important part of the school, and striving to educate the whole child so that he/she develops mentally, physically, emotionally, and socially.